“The Importance of Being Earnest” is Oscar Wilde's most perfect, and most popular, play. Since its premiere in 1895, it has given joy to generations of theatergoers. The play is often called a "comedy of manners," because in the world Wilde knew and wrote about, late 19th century British high society, manners were everything. In this play, young Jack Worthing and his good friend Algernon find themselves in a ridiculous situation after their fiancées learn they are coincidentally engaged to the same man. 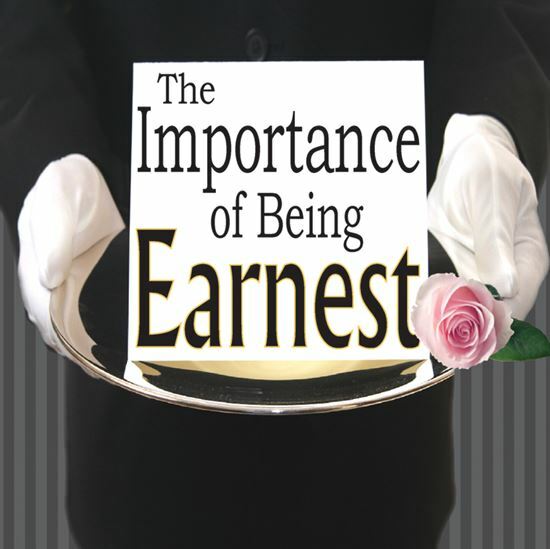 A glorious rendition of mistaken identity, Wilde's play is sure to get people of all ages and social class grinning, if not realizing themselves the importance of being earnest. This adaptation is leaner than the original, making the action continuous and fast paced while preserving the major plot points and journeys of the hilarious characters. It runs about ninety minutes, not including intermissions, and can be presented as either a long one act or full length. All of the dialogue is Wilde’s. This condensed version of Wilde’s classic will leave your audience exhilarated and wanting more! A.: When I taught at St. Margaret’s Episcopal School we presented the entire play, then submitted our production to the California State Thespian Festival Mainstage Competition and were fortunate to win. For the festival we were asked to cut the play down by about a quarter due to time restraints. So, I went about the task of editing the script and ended up with a 90-minute version with no intermission that we performed at the festival. I was thrilled that the audience loved the show, and the hour and a half seemed to fly. A.: “Earnest” is an extremely well-written play, so it was difficult deciding which great lines and sections to . Because Lady Bracknell has so many longer monologues (which are very funny, but don’t always move the story forward), many of the cuts came from her dialogue. Although she still has lots of wonderful material, I apologize in advance to all future Lady Bracknells! Q.: WHAT DID YOU TRY TO ACHIEVE THROUGH THIS ADAPTATION? A.: My goal was to make “Earnest” a bit leaner by shortening and tightening some sections, while also preserving the major plot points and the journeys of the hilarious characters. A.: I suggest directors allow sufficient rehearsal time for the actors to really explore the depth and variety in the characters. I feel strongly that they are not types or clichés, but are as real as any characters in any great play. Eventually, of course, you will want to incorporate style, dialect and a brisk pace. However, by taking the time to also dig into the characters I believe your production will be that much richer. I hope you and your cast have as much fun working on “Earnest” as we did!